If you’re going to play golf, you pretty well need to know what kind of grass you’re playing on. It makes a difference. But nowhere, it seems, are there pictures you can use to recognize grasses on the course. This article attempts to provide that information, and identify the impact that different grasses have on shots from the fairway, shots from the rough, and putts on the green. In the rough, the ball nestles down between the blades of grass, like Kikuyu, and can be hell to get out. Fescue – a family of over 300 cool- and warm-climate grasses. Blue Fescue is typically used in golf courses. Kikyu is somewhat “hairy”, if you look at it closely. And the leaves bend over in the middle, forming a spongy mat that traps the club, especially because the ball tends to sink down between the blades, effectively resting on the ground. The trick is to strike down on the ball, as though from heavy rough. Otherwise, the thick mat of interlaced Kikuyu blades trap the club, drastically reducing clubhead speed. Poana (Poa Annua) – A nice, short grass for fast greens. Considered a nuisance by household gardeners. Good poana greens are awesome. Can be fast and true with the proper care. 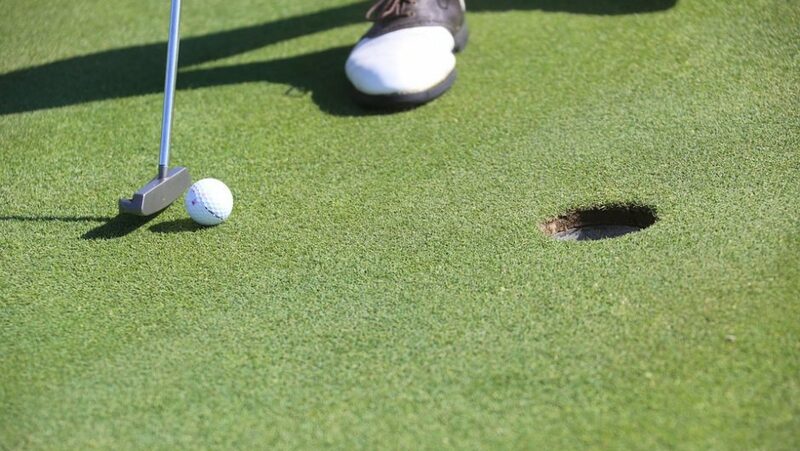 Bad poana greens can be bumpy, inconsistent, and hellish to putt on. Tough to judge the pace and can’t always count on a true roll. St. Augustine Grass (Charleston grass) – warm-climate grass used on green and tees. Definitely a work in progress. To the degree I collect tidbits of information from here and there, this table gives me a place to record them. This page gave me a list of grasses commonly used on golf courses, along with Wikipedia links.